What does Brenden mean, details, origin, short & easy attributes? Brenden pronunciation in 20 different native languages. From Brendanus, the Latinized form of the Irish name BrÃ©anainn which was derived from a Welsh word meaning "prince". Saint Brendan was a 6th-century Irish abbot who, according to legend, crossed the Atlantic and reached North America with 17 other monks. Brenden is baby boy name mainly popular in Christian religion and its main origin is . Brenden name meanings is Prince. Other similar sounding names can be Brendan. You probably have google this question: My baby name is Brenden and how can I combine the name Brenden with other names and create unique & new name? We tried to suggest Brenden name combinations. You can see how it looks the name Brenden as first name or Brenden as last name. You can combine the middle name for Brenden and create a unique name. Popular personalities with Brenden Name. Brenden was born on September 20th, 1995 in Ellensburg, Washington. Brenden Abbott is a criminal. Brenden is also known as The Postcard Bandit. Brenden Jefferson is an actor and songwriter. His career lasted from 1992 to 2004. Brenden was given the name Brenden Richard Jefferson on June 3rd, 1986 in San Bernardino, California. Brenden is also known as Jefferson and Brenden. 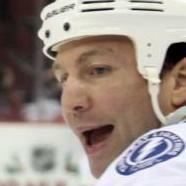 Brenden Morrow is a hockey player. He has been prominent since 1999. Brenden was born on January 16th, 1979 in Carlyle, Saskatchewan. 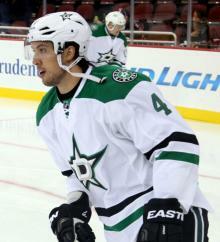 Brenden Dillon is a hockey player for the San Jose Sharks in the National Hockey League. He has had major accomplishments since 2011. Brenden was born on November 13th, 1990 in Surrey, British Columbia. Brenden Shucart is a writer, actor, hiv and gay rights activist, editor-at-large for positive frontiers, frontiers la, and frontiers (magazine). Brenden was given the name Brenden Gregory Shucart on April 13th, 1981. Kristian was born on June 12th, 1976 in Lillehammer, Norway. John was born in 1941. Laila Brenden is a writer. Synnoeve was born on July 5th, 1959. Marie was born on February 27th, 1938. She breathed her last breath on July 31st, 2012. Erik Nasbak Brenden is a sports team member for the Lillestrom SK.